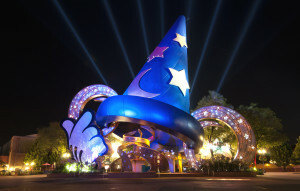 Millions of families choose to visit Walt Disney World in Orlando, Florida, every year for their annual family vacation. Tripps Travel Network knows that the parks can become pretty crowded during the peak travel seasons and around major holidays. So to alleviate some of the inevitable line waiting, Tripps Travel Network has compiled a handful of helpful tips designed to get families the most out of their time spent at Disney World. Arriving at the parks early is easily the best idea that families can have when they choose to vacation at Disney World. Travelers should tough through their early-morning drowsiness and get to the parks just as they open, and then immediately head for the most popular attractions. As one of the first people in the park, travelers will quickly realize that this means there will be hardly any wait for attractions that will later have over 60-minute waits later on in the day. Rides like Rockin’ Rollercoaster, Soarin’, Expedition Everest, and Splash Mountain are a few of the major attractions that this tactic works great with. Tripps Travel Network also recommends that families refrain from spending too much time shopping throughout the day. Nearly every ride and attraction has a gift shop that guests exit through after the attraction ends. Lots of time can be wasted browsing through these shops, time that could be better-spent heading onto the next attraction. The stores usually stay open later than anything else in the parks, so at the end of the day, parents can let their kids pick out a souvenir that they spotted earlier in the day. Another great timesaving tip involves utilizing the Fast-Pass system. Tripps Travel Network points out that the parks now utilize a system where the ticket issued can act as a fast-pass, allowing guests to enter into expedited lines. Utilize the system for attractions that usually have over an hour wait, and it will greatly save guest’s time. The fast-pass will present a designated time to return to the attraction at, so guests are free to do as they will until the return window rolls around. Consider using fast-passes for attractions like Toy Story Mania, Soarin’, Splash Mountain, and Rockin’ Rollercoaster.